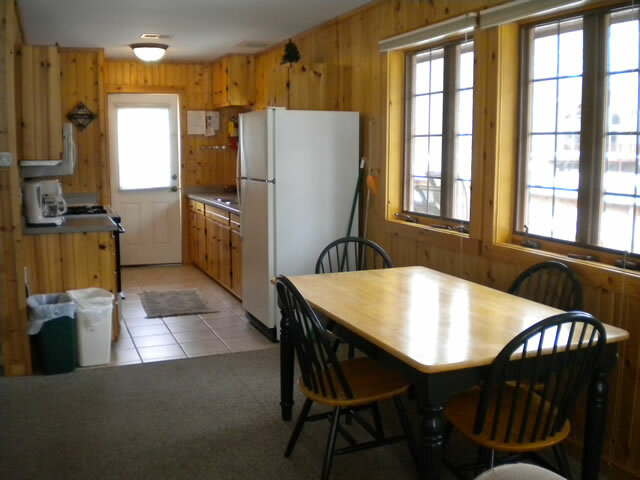 Cedarwood is a 3 bedroom “handicap friendly” unit. 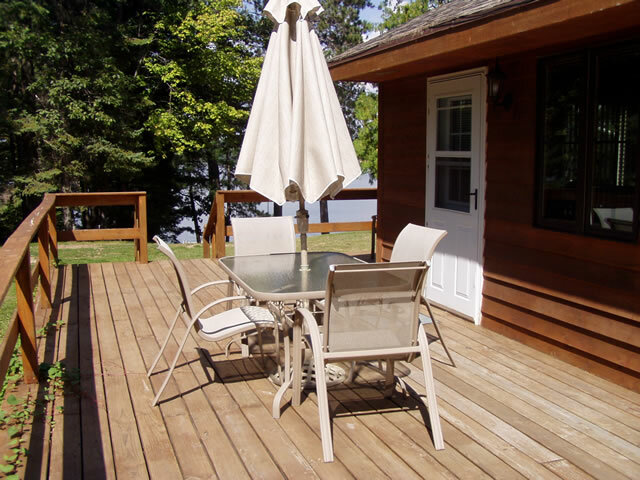 A large deck which wraps around three sides has a wheelchair ramp for easy access and offers an excellent view of Dam Lake as well as patio furniture and Weber grill. 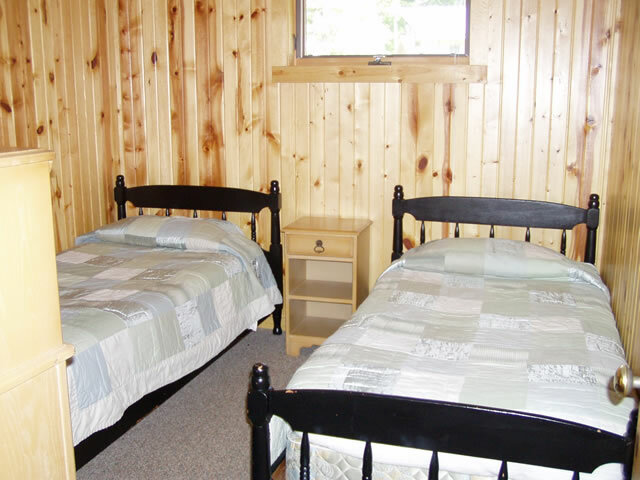 Two bedrooms have a queen size beds, and the 3rd has a set of twin beds. 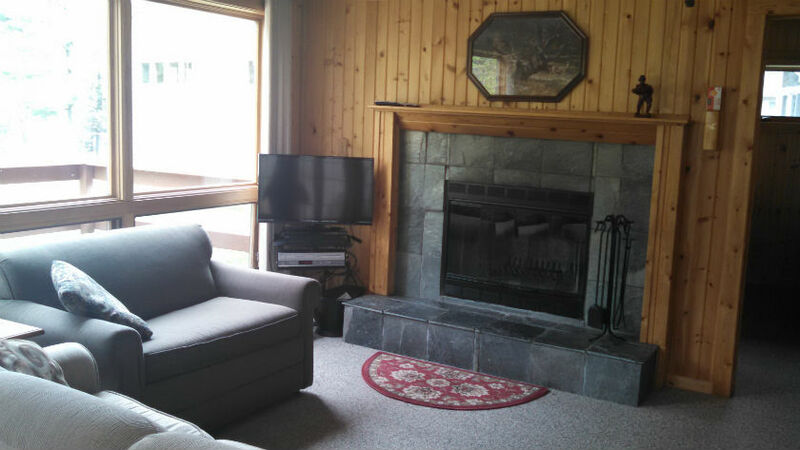 There is a sleeper sofa in the living room as well as a twin size sleeper love seat. 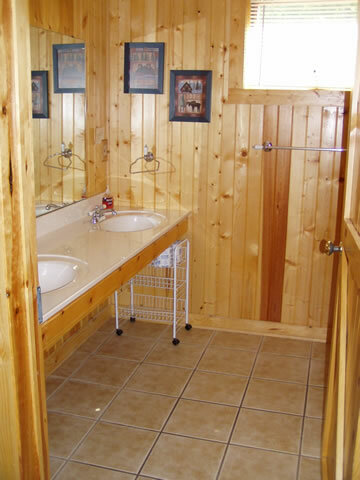 The large bathroom has a shower stall, double sink roll under vanity and grab bars. 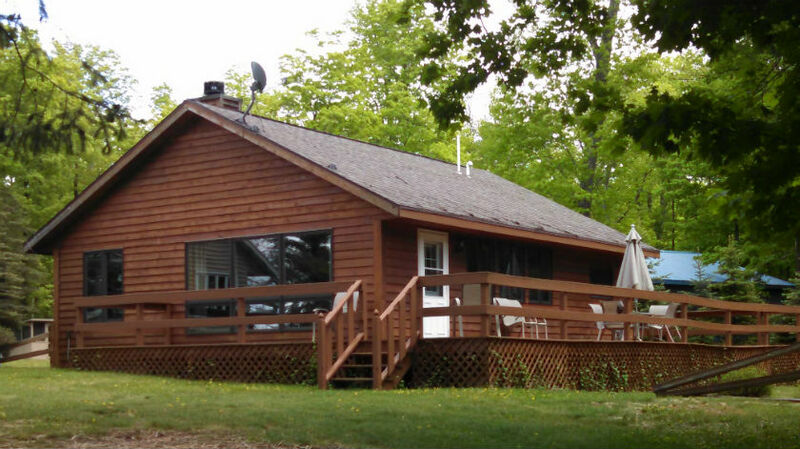 In the living room you will find a cozy wood burning fireplace, satellite TV, VCR, ceiling fan, and floor to ceiling windows overlooking the lake. 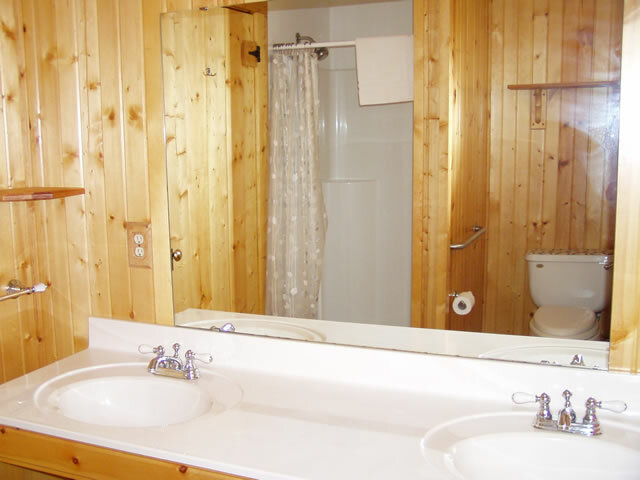 It offers central air-conditioning and heat to keep you comfortable year round. 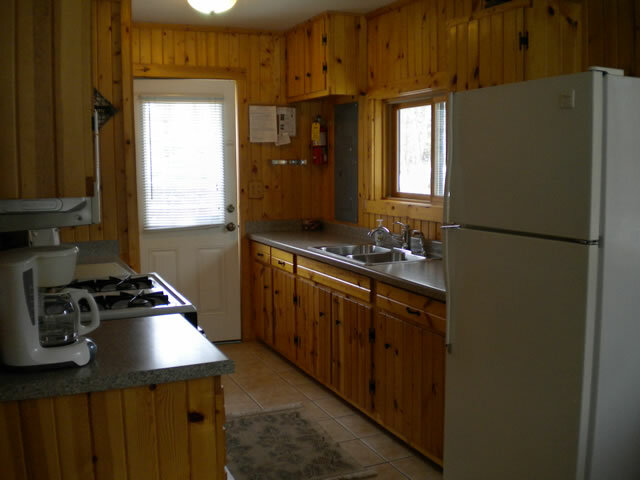 Cedarwood has a complete kitchen with stove, refrigerator, microwave, cooking and eating utensils. 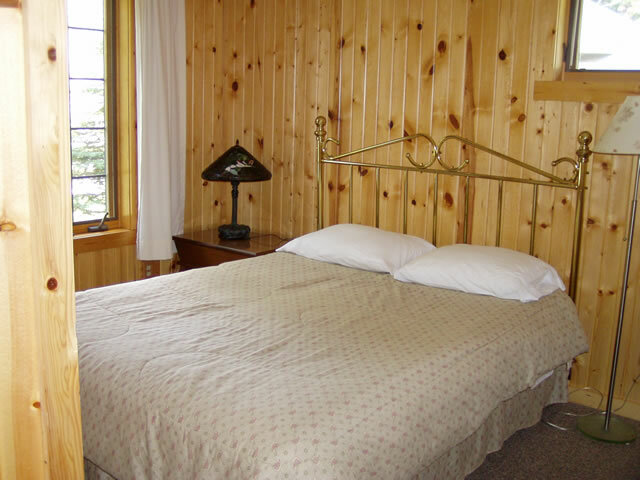 * The standard rate is for up to 6 people, 3 additional can be accommodated on the sleeper sofas for an extra charge.